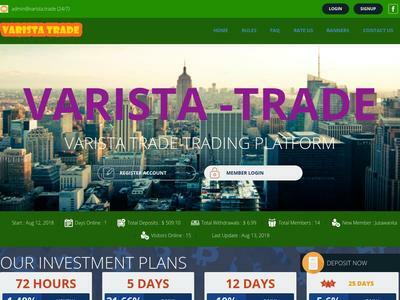 varista.trade Limited is a company which was legally registered in UK in 2017. varista.trade Limited offers investors from around the world favorable conditions to earn in the market of private crypto currency exchange and trading. The amount of 5 USD has been withdrawn from your account. Accounts: U4222871->U18897354. Memo: Shopping Cart Payment. Deposit to varista.trade User nelomota.. Date: 10:15 13.08.18. Batch: 224516451. The amount of 0.25 USD has been deposited to your account. Accounts: U18897354->U4222871. Memo: API Payment. Withdraw to nelomota from varista.trade.. Date: 10:33 13.08.18. Batch: 224518749. The amount of 0.3 USD has been deposited to your account. 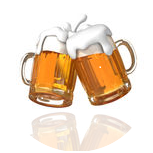 Accounts: U18897354->U4222871. Memo: API Payment. Withdraw to nelomota from varista.trade.. Date: 20:15 13.08.18. Batch: 224580451. The amount of 0.88 USD has been deposited to your account. Accounts: U18897354->U4222871. Memo: API Payment. Withdraw to nelomota from varista.trade.. Date: 09:08 14.08.18. Batch: 224627700. The amount of 0.74 USD has been deposited to your account. Accounts: U18897354->U4222871. Memo: API Payment. Withdraw to nelomota from varista.trade.. Date: 09:47 15.08.18. Batch: 224746181. The amount of 1.34 USD has been deposited to your account. Accounts: U18897354->U4222871. Memo: API Payment. Withdraw to nelomota from varista.trade.. Date: 17:29 15.08.18. Batch: 224794792. The amount of 0.89 USD has been deposited to your account. Accounts: U18897354->U4222871. Memo: API Payment. Withdraw to nelomota from varista.trade.. Date: 10:21 23.08.18. Batch: 225590673. The amount of 1.11 USD has been deposited to your account. Accounts: U18897354->U4222871. Memo: API Payment. Withdraw to nelomota from varista.trade.. Date: 12:00 24.08.18. Batch: 225706364. The amount of 1.11 USD has been deposited to your account. 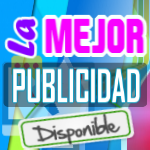 Accounts: U18897354->U4222871. Memo: API Payment. Withdraw to nelomota from varista.trade.. Date: 10:56 25.08.18. Batch: 225802793.